Farming groups are being left out in the cold when it comes to meeting with Trade Ministers who are shaping the future of the UK. Figures obtained by Farmers Guardian reveal out of the 234 meetings held by the Department for International Trade (DIT) in the three months following the referendum in June last year, not one was with a UK farming body. Defence companies had 25 meetings with DIT and seven were held with the aerospace industry. Ministers met businesses from the automotive sector 10 times, and the financial and banking sectors had 35 meetings. NFU president Meurig Raymond said he had still not met any Ministers at the department eight months after its creation, and without being able to ‘hammer home’ the importance of food and farming ‘we could easily be sacrificed in any trade discussions’. “We have been trying to get an official meeting with the Secretary of State, Liam Fox, for some time, so obviously I am disappointed we have not had one”, he added. Alan Davies, managing director of the Farmers’ Union of Wales, was in the same position despite several meeting requests. The food and drink sector managed 13 meetings with DIT Ministers, including an ‘introductory meeting’ with the Scotch Whisky Association. First to be seen was JBS, a Brazilian meat processing company which owns Moy Park, with ‘exporting and investment’ on the agenda. Sugat International, an Israeli company which sells rice, sugars, legumes, cereals, nuts and grains, met Trade Minister Mark Garnier to discuss ‘inward investment and trade’ in September, as did Wissotzky Tea. Alcohol giants Molson Coors and Diageo had two meetings, and a further discussion about the outcome of the EU referendum was held with PepsiCo. The Co-operative Group and Unilever also spoke to Ministers about exporting and investment, but there is no guarantee food was on the agenda. The same can be said of Bayer, who met Trade and Investment Minister Greg Hands to discuss ‘UK investment plans and Brexit’. In July, Trade Policy Minister Lord Price found time to meet Sunseeker, a company which sells luxury yachts, and NBNK, an investment company which had entered into liquidation on June 21. NFU Scotland president Andrew McCornick echoed Mr Davies’ concerns, saying the meetings would do nothing to dispel the perception DIT would strike new trade deals at the expense of domestic food producers. 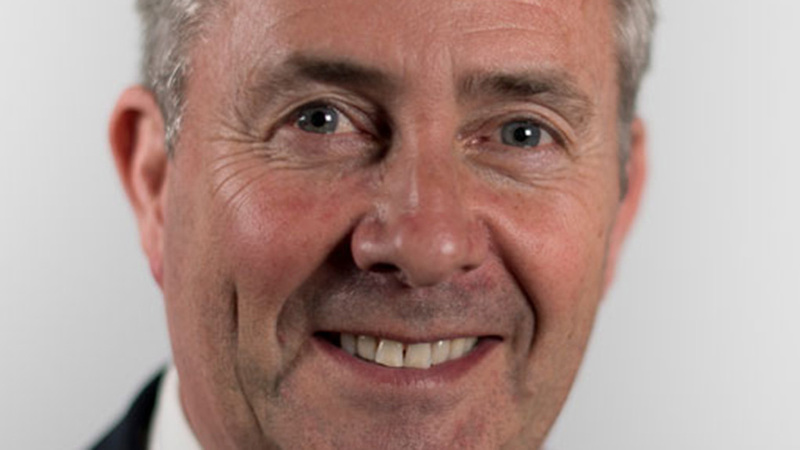 “We know Liam Fox strongly favours trade liberalisation and supports the reduction and ultimate elimination of trade barriers wherever they are found”, he added. National Sheep Association chief executive Phil Stocker said the records showed farming could be undermined at the expense of ‘global commodity trading’, but he added DIT staff had been present at meetings with Defra recently. Angela Smith MP, who sits on the Environment, Food and Rural Affairs Select Committee, told Farmers Guardian International Trade Ministers were not demonstrating sufficient engagement with the UK’s biggest manufacturing sector, food and farming. “Ministers must remedy their lack of focus on the food and farming sector immediately”, she said. A DIT spokesman said Government Ministers continue to have regular meetings with industry representatives, including the NFU.